Kawasaki disease (KD) is an acute febrile vasculitis that predominantly affects infants and young children. Tissue inhibitors of matrix metalloproteinases (TIMPs) comprise a family of four members, of which TIMP4 is characterized by its restriction to cardiovascular structures. In KD pathophysiology, TIMP4 is considered to be involved in the development of coronary artery lesions (CALs). Therefore, this study investigated single-nucleotide polymorphisms (SNPs) of the TIMP4 gene as risk factors for KD with CALs in Korean children. To observe this association, two SNPs (rs3755724, -55C/T, promoter; rs17035945, 3′-untranslated region) were genotyped in TIMP4 using direct sequencing. There were no SNPs in the coding region of TIMP4, and two SNPs were selected in the exon and promoter regions. This study recruited 250 control and 101 KD subjects. For data analysis, SNPStats, SNPAnalyzer, and Helixtree programs were used. These SNPs were not associated with KD. However, in the recessive model, a significant association was found between rs3755724 and the development of CALs in KD (P = 0.02; odds ratio, 0.31; 95% confidence interval, 0.11–0.85). The minor allele (C) of rs3755724 showed the susceptibility of CALs to risk in KD patients. 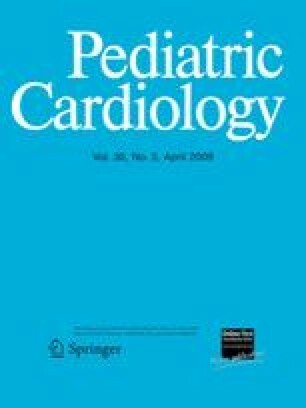 These results suggest that TIMP4 is related to the development of KD with CALs in Korean children. Ju Yeon Ban and Kyung Leem Yoon—both authors contributed equally to this article. This study was supported by the Governance Program of Kyung Hee University and partially supported by the Korea Science and Engineering Foundation (KOSEF) grant funded by the Korea government (MEST) (R11-2005-014).